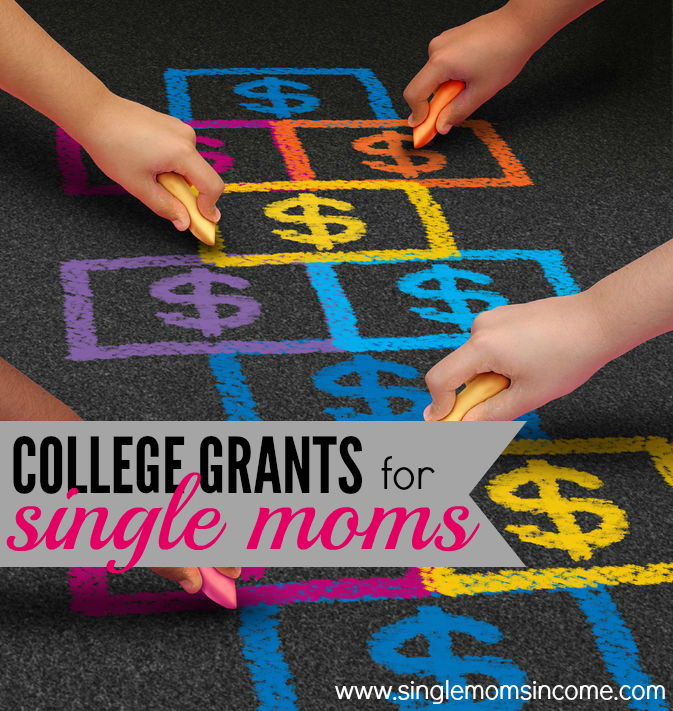 Believe it or not my all-time most popular post on this blog is Scholarships for Single Moms. 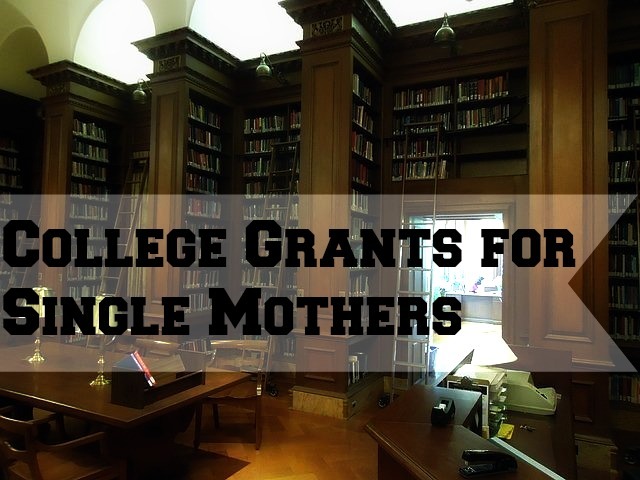 And since that post was so well received I wanted to dig a little deeper to find college grants for single moms. This was no easy feat. You see, I’ve seen articles all over the place claiming that there are grants specifically for single mothers. But this isn’t exactly true. The Federal Pell Grant is the most well-known college grant and is received by many students. This grant is awarded based on income, cost of attendance, and student status (part time or full time.) In the 2014-2015 school year the maximum award amount is $5,730. How to apply: In order to receive the Federal Pell Grant you must fill out the FAFSA (Free Application for Federal Student Aid.) You can fill this form out at https://fafsa.ed.gov/ If you need help filling out the FAFSA contact the financial aid office at your college. The Federal Supplemental Education Opportunity Grant is given out by participating post-secondary institutions. There are currently 3,800 institutions participating in this program. Here’s how it works: individual institutions apply to receive the FSEOG and are awarded grant money by the US Department of Education, depending on several different factors. The institutions are also required to fund 25 percent of the money. How to apply: In order to receive this grant you must fill out a FAFSA and also be a recipient of the Federal Pell Grant. This grant is awarded to students who show “exceptional need.” The award amount ranges from $100 – $4,000 per year. Contact the financial aid office of the college you are attending to see if they offer the FSEOG. According to the FAFSA website, 9.7 billion dollars’ worth of aid was awarded by state organizations in the 2012-2013 academic year. So, it is definitely worth your time to check and see if you can get any financial aid for college from a state organization. Here’s a link to check financial aid opportunities by state. Do note that one of the main requirements from these organizations is that you’re residing in the state that you’re college is in. Keep this in mind when choosing a school. Make sure to file for grants as early as possible. Most grants are on a first come first serve basis so by waiting to file the FAFSA you might be missing out. Also be sure to check with your college’s financial aid office to see what you can apply for. Some institutions (and states) also award merits based grants. You may be surprised by how many options you have. What If You Need Student Loans? If you’re going to go back to college I really, really think you should take the time to apply for as many scholarships and grants as humanly possible. With that said, depending on the college you go to, you might need to take out student loans. Before you take out any student debt you need to know what you’re getting yourself into. I highly recommend that you read The Definitive Guide to Student Loan Debt (free) before taking out loans. If you’re struggling to make ends meet one of the best things you can do is go back to college and get a higher paying job. But college is expensive, really expensive. And if you’re already living paycheck to paycheck it’s pretty much impossible to stretch your budget any farther. To avoid a ton of student debt you need to seek out as many grants and scholarships as possible. Putting in a little bit of effort to fund your schooling now will save you a ton of financial regret later. Do you know of any other resources for single mothers going back to school? Wow, that’s very impressive! Here in our country, single mothers were not given the grant for scholarship especially that many of our female teens here got early pregnancy so they become mothers for early time. Hey Alexa, thanks for the great read. My mom just recently graduated college just over 40 years old. I’m sooo proud of her. She would have never been able to do it without grants though! I would look for scholarships offered by local organizations. My town had a scholarship association application that let you automatically apply for all the 100 plus local scholarships represented. Then you had an interview for a panel, then organizations whose specific requirements you meet might call you in for an initial follow up. I got about five or six scholarships by the end of that process. Loan offer at 4% interest rate contact via Email:gilbertloancompany@gmail.com , with your name,mobile number, loan amount,duration and address. I am a single mom and work as an LPN in a hematology-oncology clinic. I am thinking about going back to school to get my RN. My dilemma is that in order to do that I would have to cut my hours at my current job to go to classes and clinicals. I am already just getting by. How is it possible to go back to school and only work part- time at my job? Are there grants or programs that will help supplement that lost income?